We have a new service available for parents to pay for trips online. If you have any questions about using ParentPay, please email Irene Santineer, Assistant Business Manager in the Finance Office on isantineer848@tonbridgefederation.co.uk or telephone 01732 353544 Ext. 241. New support area making it easier for parents to access dedicated FAQs and lots of useful tips. New login area which encourages parents to use a verified email address as a username, helping to reduce 'forgotten' login queries from parents. 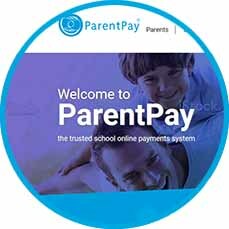 ParentPay.com will not be available between 4PM and 5PM on Wednesday 13 January, whilst the new website is made live. It is likely that some parents' internet browsers will no longer remember their saved ParentPay username and/or password. If parents cannot remember their login details, they just need to click on the relevant link in the help section on the new login page. Microsoft have recently announced that as of 12 January 2016 they will no longer support older versions of Internet Explorer and security updates will no longer be applied. A small proportion of parents and schools currently use a browser that will no longer be supported, so for peace of mind we do advise that you check that the browser you use to access ParentPay is a supported one. A message has been placed on both parents and school managers home page outlining which browsers can be used with ParentPay. Following on from our previous email, we have attached some guidance that will help schools to assist parents who do not presently have a username which is a verified email address. Please note, that by 03 March, all parents will be required to use a verified email address as their username to login to ParentPay. We are pleased to announce that Comic Relief have teamed up with us to make their 2016 Sport Relief campaign even bigger and better. 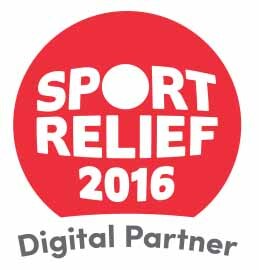 From January 2016 schools can use ParentPay to collect donations from parents for Sport Relief. And to make sure every penny raised counts, ParentPay will cover the cost of all payment service fees for Sport Relief donations made to schools by parents through ParentPay. We will be sending all our schools more information about how they can get involved in Sport Relief including guidance on collecting donations from parents through ParentPay.